Last weekend's midday CLE seems to have drawn a lot of interest for a summer event. Perhaps it was because listeners could participate without having to burn the midnight oil as is usually the case when listening 'live' and not recording with an SDR. Listening time was restricted to between 1100 and 1500 hours local time, to see what could be heard via daytime groundwave. In spite of having a low noise seaside listening location, I was surprised to only hear beacons in B.C. and Washington state, with not as much as a whisper from Oregon, Alberta, Idaho, Montana or lower Alaska. The furthest beacon I heard was ZZP-248 in the Queen Charlottes, at 486 miles. I would have wagered that most regions would see similar results, with groundwave distances being fairly constant throughout North America, but this was not the case. Participants in the central states seemed to enjoy much greater groundwave coverage than here on the west coast. 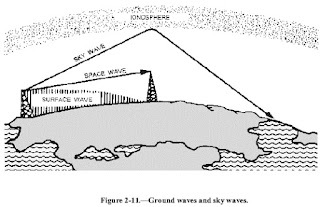 It seems that the rugged Coastal ranges and the Rockies do have a pronounced effect on daylight propagation when skywave is not involved. Beacon ERP cannot be ignored as well as location and ground system efficiency ... some definitely get out much better than others even though output powers may be the same. Anthony Casorso, ADØVC, listening near Denver, Colorado with an Elad SDR and a 17' Low Noise Vertical (LNV), managed several +500 mile catches but all N-S or to the east. Bill Riches, WA2DVU, in Cape May, NJ, found SJ-212 in Saint John, New Brunswick, 635 miles to the north with his Perseus and Wellbrook loop. Dave Tomasko, K9QU, in Galena, Illinois, caught OKS-233 in Oshkosh, NE at 625 miles and FOR-236 in Forsyth, Montana, at a whopping 845 miles with his R-75 and Wellbrook ALA100 loop. It's hard to believe but this coming weekend will see another CLE challenge! No need however, to stay up until the wee hours for this one, as CLE220 is a mid-day affair ... just log what you are able to hear during the day from your location. The entire band is fair-game as well, from 190 - 1740kHz. Everyone is encouraged to send their logs (see below) so the RNA / REU NDB databases can be kept as up-to-date as possible. I know that I won't have any trouble hearing AP-378 shown above since it's only about 3/4 mile from my antenna! I'm always curious just how far it can be heard during the day and would encourage listeners on the west coast to have a good listen for it and please let me know if you can hear it. For those unfamiliar with this monthly activity, a 'CLE' is a 'Co-ordinated Listening Event', as NDB DXers around the world focus their listening time usually on one small slice of the NDB spectrum. How many normal NDBs can you log around midday? to find out if changes really have made improvements in reception. (please, NOT as well as) from home? and 3 IN THE AFTERNOON (15:00) on your LOCAL clocks. your times each day will be from 10 a.m. to 2 p.m. LOCAL. Of course, all our logs will show UTC times, as always. location and distance LATER in the same line. Don't forget to give your own location and brief details of your equipment. amusing events that happened during it. CLE107 was our last CLE rather like this one - way back in July 2008! NB: THAT RECEIVER must be located within 2 hours of ‘real’ midday. 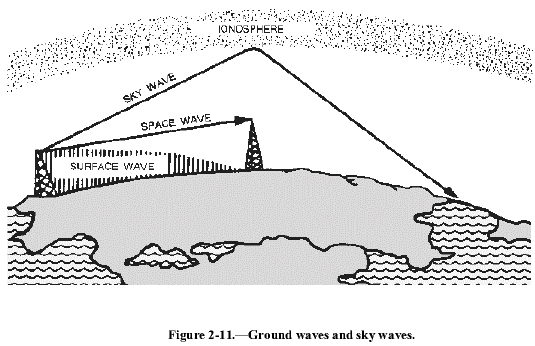 RFI ... Radio Spectrum's Global Warming? The FCC's recent publication of an Order and Consent Decree (DA-17-471) has me wondering if this action signals new interest in cracking-down on those who manufacture and distribute unapproved spectrum polluting noise-generating devices or is it just a once-in-awhile muscle flex with little change in overall policy ... hopefully it's the former! United States complies with the technical and administrative requirements set forth in the Commission’s rules. The equipment authorization program requires, among other things, that radio frequency devices must be tested for compliance with the applicable technical requirements in accordance with one of three authorization procedures—i.e., certification, Declaration of Conformity, or verification—prior to marketing. ... a privately-held company that manufactures and distributes lighting fixtures that are used in residential and commercial properties ... under-cabinet LED light fixtures were reportedly causing interference to AM/FM radio transmissions. During the course of the investigation, the evidence revealed that ... the LED light fixtures were not tested and authorized under the Commission’s equipment authorization rules prior to marketing. ... the Bureau’s Spectrum Enforcement Division issued a Letter of Inquiry (LOI) ... directing to submit a sworn written response to a series of questions relating to ... the marketing of its LED lighting fixtures in the United States. ... continued to market the light fixtures at issue for certain times during an approximately five-month period after receipt of the LOI. Other highlights indicate that the company in question acknowledged their violation and agreed to appoint a Compliance Officer in charge of implementing new company protocols, including the retraining and education of employees dealing with compliance issues. As well, a $90,000 civil penalty was imposed on the company for the violation. As a point of interest, I can't ever recall seeing similar notifications being released or reported here in Canada by our FCC equivalent, the ISEDC. Hopefully they also take similar actions, but if so, they don't seem to be reporting it ... perhaps I'm just not looking in the proper places. As I've mentioned here previously, for too many radio amateurs, the growing noise floor throughout the radio spectrum has become a global threat for the healthy pursuit of our hobby. Even if we saw the immediate implementation of rigorous new tight standards, crackdowns and prosecutions of offenders, it may already be too late to reverse the damage we are now seeing ... in many respects, it's the 'global warming' of the RF spectrum and there may be no turning back without immediate action. Late May's EME activity seemed poorer and less active than the previous month of northern declination moonrises. Unlike winter's northern moonrises, the summer ones occur close to 'new moon' time and for a few days on the much favored northern path, the moon is too close to the sun, resulting in lower activity and higher noise. 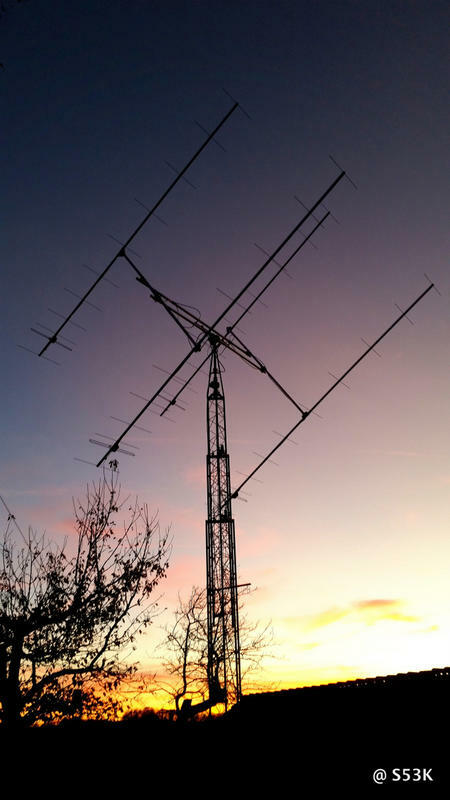 As well, with the warmer summer weather, outdoor projects or other summer activities often take priority over ham radio operations at this time of the year. Nevertheless, I did manage to work five stations with my small station, and added four 'new initials', bringing my total unique-station QSO total to 105 ... it seems there are still plenty of folks out there that I have yet to work! 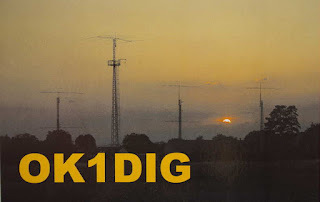 With the summer Sporadic-E season now in full swing, I've had the opportunity to make some early observations regarding the growing use of the weak-signal digital modes. It seems my previous suspicions about the migration from traditional modes to the digital modes is occurring even more rapidly and in much larger numbers than I had expected. 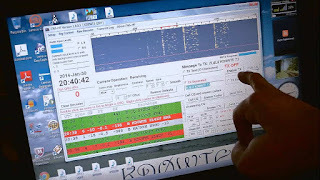 Almost all early activity has been concentrated on both JT65 and JT9 modes and most of the chatter on the ON4KST 6m chat page centers around these digital modes. 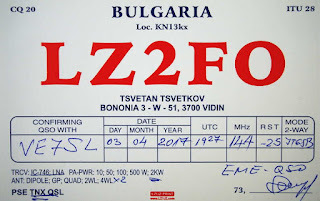 So far this season I have heard much more DX on JT65 than on CW or SSB, including two stations in Europe on Tuesday (EI4DQ and F5LNU). 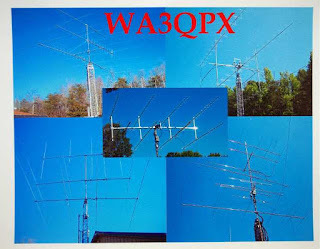 It seems that many QSO's are taking place with signals that are usually too weak to be heard by ear (~ -16db or weaker) and if listening for CW signals, the band would appear to be pretty much dead. With no full-blown openings to Europe yet, I just wonder if stations will stay put on JT65 or move to the much faster CW mode for making quick contacts when the propagation allows? 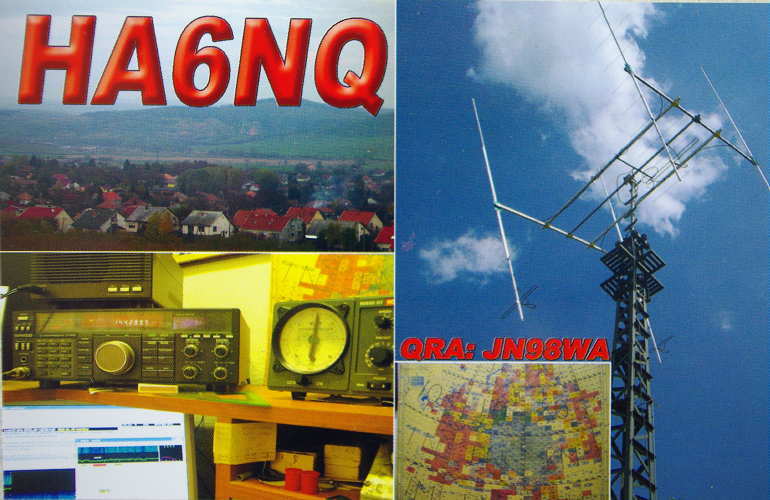 Making JT65 contacts is not a particularly fast process, with most QSOs taking a minimum of four minutes, if both operators are well acquainted with the procedures ... longer if not or if QRM or propagation throws a spanner into the works. Some of the newer JT9 sub modes allow for quicker exchanges as does the much less sensitive MSK144 mode but with so many options now available, it's often difficult to get everyone on the same mode or at least figure out what mode you are seeing! I can see the advantages of using these modes when conditions will not support CW but will still allow digital decodes. 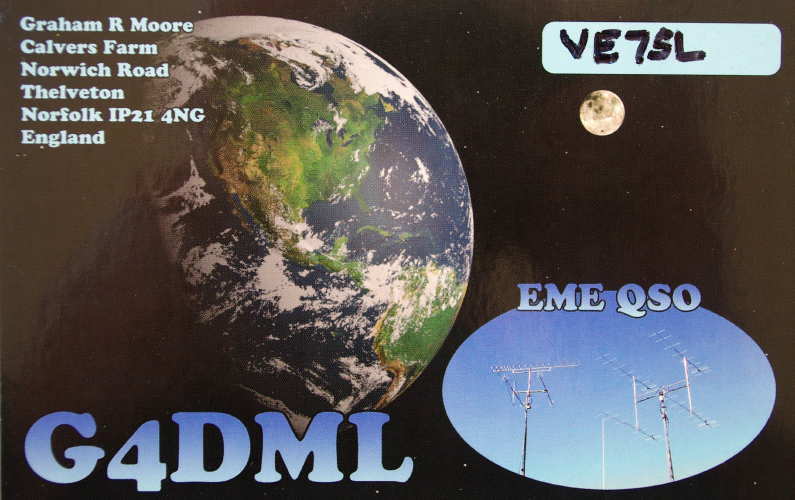 If the normal 'weak signal window' can be sustained for a much longer time period than the usually short-lived audible CW-level window, perhaps more stations could actually be worked on these modes even though the QSO rate is much slower. 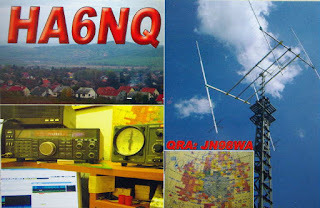 But I still think that many easy CW QSO's will inevitably be missed when operators are watching their digital waterfalls and ignoring the CW end of the band ... of course, if everyone is doing that, then there will be nothing to be heard on CW, even though conditions may well support good signals. It's a strange new situation and I'm probably not the only one that may be worried about the negative effects of the new weak-signal modes on 6m ... time will tell, but for me, if things keep going along this path, much of 6m's magic may be gone along with it. - maybe it's possible to work more DX on weak signal mode, even though it is slower, because of the possibly longer propagation window at sub audible signal levels? ... ie. on a seemingly 'dead band' by ear. - many are using the wrong sequence when calling for EU or JA. Folks need to pay attention to what sequence the DX is using! - if your neighbours are running on even or odd sequence, then it might be neighbourly to also use the same sequence to avoid causing disruptive QRM. This seems to go south fast, once the band breaks wide open and it seems like 'every man for himself' ... not unlike 50.125! - there are too many weak-signal modes and it would be advantageous to settle on a 'standard' mode for 6m DX. It seems as though many are wasting valuable time either switching modes or trying to figure out what mode they are seeing but not decoding! On long haul 6m Es, things change too quickly to waste time. - there are still a lot of over-driven signals or signals with 60Hz components causing double decodes +/- 60Hz from their main signals. A recent reflector posting tended to confirm a rather intriguing trend that I have also been noticing over the past few years. 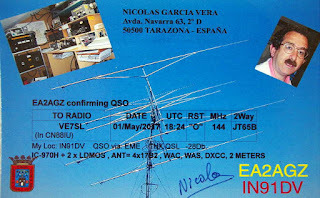 The poster lamented the fact that he often found very few or even no CW / SSB signals on the HF bands while at the same time seeing lots of activity throughout the digital portion of the bands. 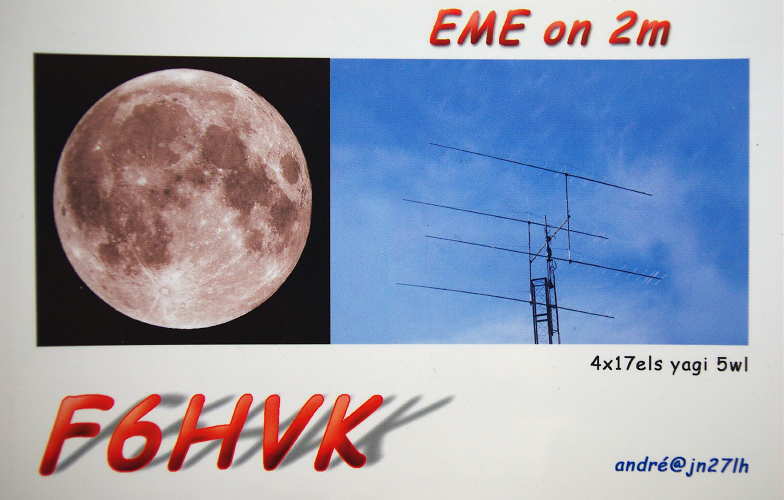 It does seem like there is far less CW and phone activity on the HF bands now, than there was a few years ago and there is no question that digital activity has soared. 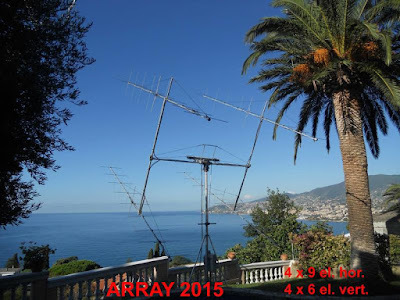 Whether it's RTTY, PSK31, JT65, WSPR, JT9 or others, these digital signals are always prominent and, band plan or not, are slowly migrating further in the band as activity increases ... but is this the reason for the decline of traditional modes? The digital weak-signal modes make these extremely popular for a number of reasons. 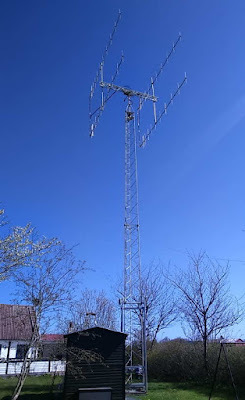 Nowadays, many amateurs are living in antenna-restricted communities and are forced to develop smaller, lower and less effective stealthy antenna systems if they wish to get on the air and make contacts. Most of these modes perform well with minimal amounts of power and are capable of hearing well into the noise ... and unless you live out in the country, with well-separated neighbours, we all know that noise is increasing at horrific levels almost everywhere. These two factors alone might well explain much of the growth in digital activity. Licencing requirements have also been slowly evolving and today, getting a ticket is much easier than it was several decades ago ... and in many cases, without the requirements of knowing anything about CW. Every month, North Americans see a large number of new amateurs, many with no code skills and possibly not much interest in acquiring them. From my own local observations, most of these new amateurs usually head straight to FM on the VHF/UHF bands and have little knowledge of or interest in HF radio. These factors must also play into the demise of activity on the traditional HF modes as well. 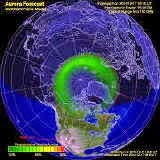 We also shouldn't overlook the influence that Old Sol is having on our HF bands as well. Solar Cycle 24 (begun in 2008) has been one of the poorest on record and continues to generate month after month of terribly poor HF propagation. As a young SWL who listened in Cycle 19, (the largest on record), I can vouch for the relationship between HF activity and good propagation. 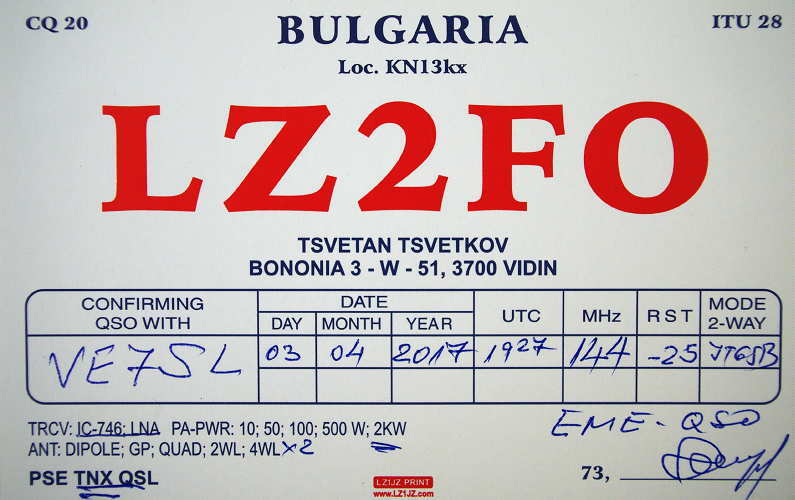 Those were amazing days, when 20 and 15m would stay open all night long ... even 10m would often still be open with F2 propagation at midnight towards VK and ZL! Everyday, month after month, the bands were simply bulging with activity, from end to end ... high solar flux numbers bring high activity numbers and we are now experiencing the downside effects of what happens when the sun dreadfully underperforms. The only exception to band-bulging activity today seems to be limited to major contest weekends only. Where these people go the rest of the time is a mystery. There are surely other reasons as well for the gradual decline of traditional-mode HF activity, including the fact that the general ham population is getting older. Large numbers of stations are simply 'going away' as interest or opportunity declines and as more of the aging traditional-mode ops go 'SK'. I know of several hams that have just given-up because of insurmountable increases in their local noise floors. Our new and usually younger hams, have largely grown up in the 'digital age' and for those that do find themselves exploring the HF bands without CW skills, might logically settle into the digital modes first. Things are changing quickly, of that there is no doubt. 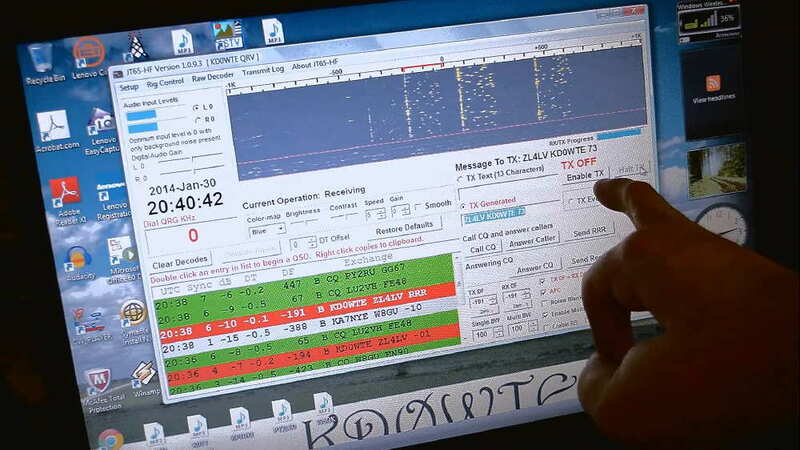 Last summer, on 50MHz, I noticed a large increase in the number of dedicated CW operators moving to JT65 and JT9 during openings and this summer has already seen another huge migration from one mode to the other. Although this year's Sporadic-E season is just getting started, I have already heard many more countries on JT65 than I have on the traditional modes (Japan, Philippines, China, Formosa, Alaska, Venezuela, Cuba, Brazil). 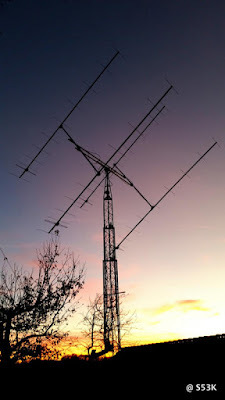 Yesterday I listened to a PY calling CQ on CW for some length, with no takers, while it seemed most of the usual west coast ops were watching the digital band. I fear that many good QSO possibilities will be lost as more stations switch to the much slower digital modes ... on 6m, many of the openings last for a very short time making CW or SSB the quickest way to complete a contact. The other problem I notice this summer is that there are several JT sub-modes and it is often difficult or impossible to figure out which mode is being used let alone having the time to switch to the other mode before signals are gone ... perhaps a case of having too much of a 'good thing'? Hopefully one mode will emerge as the '6m standard' so all are on the same page. What will be the long-term outcome of these changes remains to be seen but I suspect we'll see more and more of our HF CW and SSB spectrum space gradually shrinking to make room for more digital activity, likely to become the dominant modes eventually. As a life-time, almost exclusive CW operator since age 15, I find this somewhat disheartening but must admit that over the past few years, I have found my own level of weak-signal digital activity increasing by leaps and bounds. These are powerful, capable modes and offer amateurs new and exciting challenges from VLF to nanowaves. Are they as exciting as my much-loved CW? Ask me in a couple of years!